Success stories and happy viewers - Dave's TV Service and Repair. 938 SW 6th Grants Pass Oregon. (541) 479-3915 "TV repair books"
Book learning has its place, but modern teaching methods often overlook the importance of a hands on approach, and fail to keep it simple. Electronics is a complex subject, but once you begin to grasp the fundamentals it can become intuitive and fun. After watching my free video tutorials, hopefully you will see that electronic troubleshooting may not be as difficult as you thought. Below are some of the comments people sent me after watching my youtube videos. You can subscribe to my youtube channel by clicking here . Hi Dave! i just want to share with you and all subscribers now and futures subscribers how my life has been changed since i saw you in one of your videos about lcd repair, i was about to give up with a sony tv and finally I did fix it. i am spanish(no english that all) just watching at your videos, and using google translator', your info was so helpfull to me and i liked that much, that i have decided to go back to school to learn all i can about electronics, i like all those books, and your tips because of you i have﻿ been making some money fixingf tvs and monitors, i had no job for 6 month no money and now i do! thanks a lot and GOD BLESS YOU. I have watched about all of your﻿ videos and find them most interesting for teaching purposes. Crude in some ways but what the lesson is vividly fixed in your mind. You could easily be a shop teacher in school. I remember my shop teacher made electricity so difficult it almost turned me off from the study. You cant teach what you cant demonstrate. Great job. i'm just starting out in electronics, having watched numerous courses from several people on youtube here, and i have to say, you're hands on approach and explanations have been the best that i've seen. Keep up the great videos you've definitely gained an avid subscriber today! Thanks again. Doing﻿ a great job. Very good teacher and easy to understand. Learn more from you than everyone else I have watched. wow wow wow. Love these vids. I have been taking EE in University and feel as if I have learned MUCH more from these videos. Thanks! I teach an HVAC class at a high school career center. We are covering the concept of electromagnetic induction. I showed this video in class today﻿ and it resulted in some of the best discussion I have had. Now the students want to re-create some of your demos. Where can I find coils similar to what you are using in this video. Thanks for getting my students engaged in good discussion. Thank you for this video! the hair dryer brought my Toshiba 42hp82 back to life. now to get the new caps in. I will have to utilize the other tricks you have mentioned, you are﻿ a very wise man when it comes to tv's. cool videos,﻿ learnt a few things too, keep em coming. Be great if you done a course !! Dave I am a fellow repair tv repairman I have﻿ been in for over 20 years .I love what you are doing here I have thought of doing it my self .I use the freeze spray and hair dryer all the time . Love your videos, thanks﻿ for taking the time. the best you tube site I ever found? 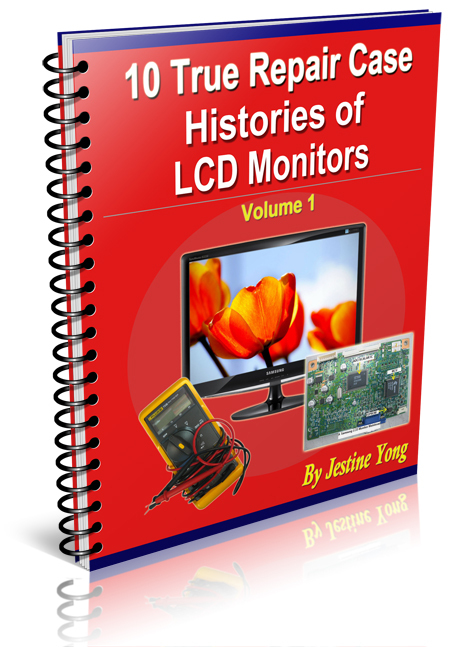 keep up the good work... you﻿ happen to have block diagram how lcd-plasma tv works? Thanks for this series! I'm actually working on laptops but the circuitry troubleshooting is where I needed the help. You've given a lot of great "in circuit" advice and that part about the freeze dry and the heating, priceless! my pops is a mastered electrician and I bet he's never heard that one before but it makes total﻿ sense thanks! These videos are very insightful. I love the inductors videos. Can you show us the way to build your old very﻿ powerful high voltage high amperge transformer? good﻿ vid, but why would use ac as opposed to dc...or vice versa? whats the pros and cons? Just wanted to stop and thank you for the sub. Cool channel you﻿ have here. Thank you for this! I've been searching trying to find an illustrative video like yours, and finally it's all starting to make sense. I love the demonstrations! Doing a great job. Very good teacher and easy to understand. Learn﻿ more from you than everyone else I have watched. Hey i was watching your Ac and Dc videos. I'm taking E&M physics﻿ right now, and your videos make more sense than my textbooks. Keep up the good work. Thank you for this! I've been searching﻿ trying to find an illustrative video like yours, and finally it's all starting to make sense. I love the demonstrations! Great explanations so clear! If my teacher had been this good, I would have become an electronics﻿ engineer. Sir you are extremely gifted. You have the﻿ ability to take something very complicated and make it simple. Yes, great﻿ channel, Thanks again for the great lessons with the children today, they loved it and so did I. They love the Electronic Project Lab too. Wonderful, fun learning. Hey man, i love yours tips!! I also like electronic and you helped me so much.